DomCop is an expired domain search tool. You can find domains based on Ahrefs Domain Rating, Moz Rank, Domain Authority, Majestic Trust & Citation Flows, Similar Web Rank, Alexa Rank, SEMRush Rank and Traffic Data, Domain Scope Traffic data and Social Statistics. Why do I need DomCop? SEOs purchase expired domains for their backlinks. Everyday 200,000+ domains expire. It is virtually impossible for any SEO to go through the backlinks for each of these domains. What DomCop does for you, is show you a list of all these domains along with important metrics for every domain. These metrics will help you reduce the size of the daily list from 200,000+ to just a handful of the very best domains. What would take you hours, now will take you literally seconds to do. Each of the third party that we integrate with (e.g. Ahrefs, Moz, Majestic), charge for getting the metrics for a domain. DomCop uses their API to get this data for you and you therefore do not need to purchase a separate account to get these metrics. As new players enter the market, we integrate with them so that you always have the best and most comprehensive set of metrics to help you decide which domain to buy, spending as little time and money as you can. 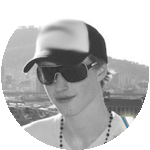 MozRank: MozRank is akin to Page Rank. It's a link popularity score - which goes from 1 to 10. Domains/Pages earn MozRank based on the quality and number of other pages that link to them. An average MozRank is about 3. MozTrust: MozTrust is Moz's global link trust score, that measures the value of links recieved from trustworthy websites. It goes from 1 to 10. Domain Authority: DA shows how well a domain will perform in search engine rankings. It can be used to compare one domain to another and is therefore a better metric than MozRank when valuing domains. The metric is scored from 0 to 100. Because DA is difficult to directly influence it is hard (not impossible) for scammers to fake a high DA. Page Authority: PA shows how well a given webpage will perform in search engine rankings. Since PA predicts the probability for a single page, it is not as useful as DA when it comes to expired domains. Like DA this metric is scored from 0 to 100. Total Back Links: This is the total number of back links that Moz has found. Total Back Links (E): This is the total number of back links which pass equity to the root domain. Total Back Links to Sub Domain(E): This is the total number of back links which pass equity to the www subdomain. Majestic has one of the largest public indexes of the entire web (42 billion +). The metrics given for the root and the www subdomain are different. At DomCop, we figure out if the original website was run at the root or at the www subdomain and accordingly give the correct metrics. Trust Flow: TF is a metric between 0 and 100 that measures the trustworthiness of the domain based on which websites link to the domain. If the links come from trustworthy sites then this number goes up deeming this domain as trustworthy. Citation Flow: CF is a metric between 0 and 100 that predicts the value of the domain based on the back links to it. This could be used to compare the back link data between different domains. This would be similar to page rank and Moz domain authority. Trust Flow/ Citation Flow ratio: The TF/CF ratio is one of the most important numbers to look at. Scammy domains tend to have a very low TF/CF ratio as it is very easy to manipulate CF, while not that easy to manipulate TF. Hence, a domain with a TF/CF that is less than 0.8 should simply be ignored. Links: Total number of back links to the root or www subdomain. Domains: Total number of referring domains with back links to the root or www subdomain. IPs: Total number of unique IPs that have domains with back links to the root or www subdomain. Subnets: Total number of unique subnets that have domains with back links to the root or www subdomain. EDU Domains: Total number of EDU domains with back links to the root or www subdomain. EDU Links: Total number of back links from EDU domains to the root or www subdomain. GOV Domains: Total number of GOV domains with back links to the root or www subdomain. GOV Links: Total number of back links from GOV domains to the root or www subdomain. Topical Trust Flow: Majestic shows the categories for the back links to a domain with the trust flow passed. This is very useful in figuring out what industry the domain lies in based on its back links. Cost of traffic: The total cost of traffic coming to the website - this is based on total traffic, cost per click for the keyword and location of the user. Keyword data: We list the top 5 keywords that the domain ranks for along with it's position, the search volume, cpc, competition and the url that ranks for that keyword. Rank Delta: This is the change in rank from the previous rank (from three months ago). A negative number means that the rank has increased from before. We do not sell domains. The domains in our list are available to purchase either via an auction or can be registered directly through a domain registrar. However, no purchases happen on DomCop. My Copy button is not working. How do I fix it? The Copy button uses Flash for it's functionality. Recently, browsers have been disabling flash on websites by default. You will therefore need to enable Flash for DomCop in your browser. To do this, click on the "secure" link next to the SSL lock icon. A popup will open. Here next to "Flash" select "Always allow on this site". Once done, refresh the page and the Copy button will start working again. The verification link is not working. What do I do? Domain metrics are updated multiple times in the life-cycle of a domain. We currently update the metrics of every domain at the following times. How do I setup email notifications of matched domains? Email notifications are tied into Saved Searches. When you save/modify a search you have an option for "Daily Email". 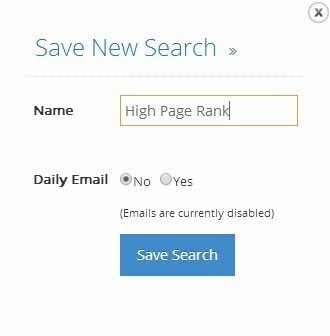 Setting this to Yes will enable a daily email to be sent to your email address with domains matching the search criteria. To avoid duplication of domains, only domains that have 2 days before the expiry date (or before auction ends) are matched and for this reason this option is only enabled for searches saved in the Expiring section. Please visit our help page on exporting data. I want to see and sort by some other metrics in the data table. What can I do? You can customize the columns that you see in the data table. Please visit our help page for instructions on setting this up. How many domains do you currently have? The age that you show does not match what I get from a WhoIs lookup. Why? 1. Domain Age (WayBack) - This is the age taken from the Wayback Archive. The Wayback Archive gives the age based on when it first crawled any pages on the domain. From an SEO perspective, the age from Wayback Archive is more relevant since its more likely that the search engines would use a similar measure. 2. Domain Age (WhoIs) - This is the age taken from the WhoIs data. The WhoIs data gives the age based on when the domain was initially purchased. If a domain drops and is then registered, the WhoIs date will reset. 3. Website Age (WayBack) - This is the age of the last website that was on the domain. To understand this let us take an example of a domain that was registered in 2005 and had a website running on it till 2010. Then the domain was abandoned till 2012, when a new website was placed on the domain till 2015 (present time). Our systems will find out the break of 2 years and will therefore calculate the Website Age to be only 3 years (While the Domain Age shown above will be 5 years). Some domains have the red exclamation mark set even though they are indexed by Google. Why were they flagged? 2. Google has no info on the site. This is checked by issuing a "info: domain" query to Google and flagged if no results come up or if a different domain shows up. 3. If the Moz Spam Score is greater than 5. When do domains get checked for availability? 1. When the domain enters the system. 2. When the domain drops. 3. Two days after the domain drops. 4. Six days after the domain drops. What do the different listing types mean? Auction: These are expiring domain that are currently in auctions. Closeout domain: These are auctions specific to GoDaddy that have not received any bids till the end of the Auction. These domains go through a 5 day reverse auction process where they can be purchased from $10 to $5. Buy Now: These are domains that can be purchased immediately for a price set by the Seller. Pending Delete: These are domains that will be Expiring soon. Bargain Bin: These are domains that have gone through the GoDaddy closeout process and are currently available for $5. Offer/Counter Offer: These are domains in Auctions that are not expiring domains. The seller has an option to not sell the domain unless he receives a bid he wants. Why do your metrics not match what I see at Majestic Seo? Majestic metrics change everyday as Majestic crawls websites. However, we only refresh the Majestic metrics once a week (after the first time that the domains are added to the system). Due to this some Majestic metrics might be off. However, metrics of good domains should not change very often - so if you find a domain that shows different metrics then its likely that the metrics for the domain are volatile (sudden loss of influx of links) and should be avoided. Why does the archive section have old metrics? The Archive section has old metrics because we re-check all the metrics only once in two months, once the domain has entered the archive. Most domains that enter the archive have their metrics checked one day before entry. There are two reasons that we re-check the metrics only once in two months for the domains in the archive. Showing the old metrics for a domain gives you a snapshot of the back link profile for the domain at the time of expiration. This is valuable when you can compare it with the current metrics as it would give you an idea of how well the metrics would hold up. Why am I seeing domains that say they are expired but when I check them they are live sites? I see a lot of 'premium' domains that cost a lot. Is there a way to filter these out? A lot of domains on auction are set for rather high prices. You can simply set an upper limit for the Price to filter these domains out. I have more questions. Whom can I ask? This software is awesome. What can I do for you in return? If you love our software, We would love some free publicity. Please do share the website over twitter and/or facebook. We do not have an affiliate program yet. However, we do plan to have this setup soon. If you are interested in being an affiliate please do send us an email at support@domcop.com and we will let you know when the program is live.